Wait...who's playing now....? I only got Stickboy, Icyamiki and Sakura1 on my friendlist, any others? We are all on tw server btw. I'm playing that other older game. Just posted here because... well, it's relevant, isn't it? CN server verison 1.7 promotion video. Featuring 2 awaken form of bronya. 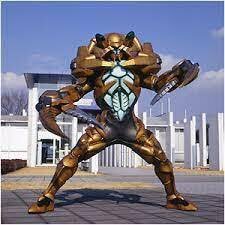 One of the form you should already seen before, another design is from the original gun girls z. How far have you been into the game? If still below 30 and haven't spent any money and haven't obtain any default s rank valkyries you should join us in tw. Jp gara got no base guarantee for every 10 rolls unlike cn or tw. Well, I still only got 5 Valk A rank (2 Theresa with Bunny girl, 2 Greatsword user, and 1 Mei yellow type) so 8 Valk in total. My lvl still only 24 so far lol. I'll move to TW if Yae is considered as a gacha valk (Idk about in JP). Sakura aren't avaliable in gara currently, she can only be farmed upon reaching level 35 onwards doing her exorcism quest. Like this, btw that Swimsuit Theresa is the bunny ver just like your gif signature (forgot to change it back to miko form lol). 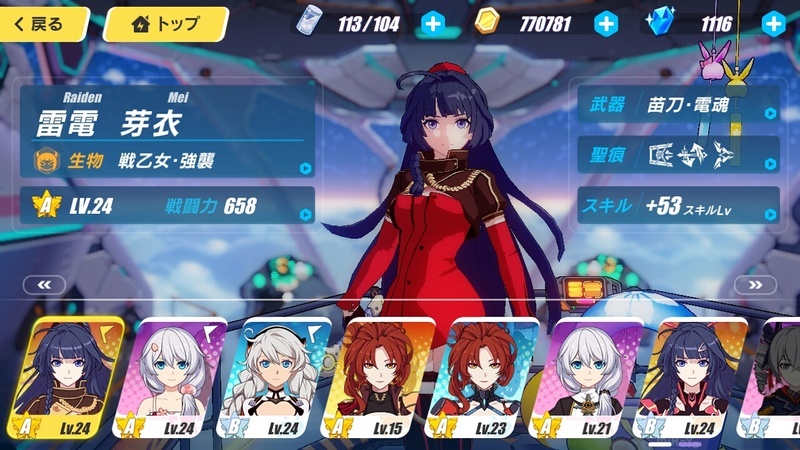 Oh assault mei and fox(sakura flame) theresa, she hasn't been released yet in tw version. Plus you can farm for the nun version currently so it's advisable that you join us instead. Okay, so i was searching google for any players that play on TW server then i found this. I used to play CB back then also but not anymore so thats not my main reason in joining this forum. Anyway I'm looking for active EN players in TW server to play with (coop). Do you guys also have a discord server to chat and coordinate in coop? There's a very active H3rd community discord server, if anyone wants the invite link for it just tell me. But normally i just see what's in it only, most of time for news and update I went to cn's baidu or tw's bahamut forum. Oh I'm in the 2nd discord server that you linked. Whats your username in it? There's a TW dedicated channel for it so we can do coop if you are up for it. well i can invite you into my armada, but it's mostly a silent non competitive one either, mostly just join for the sake of joining and easier to leave msg there .-. Oh okay, do you have members in your armada that gives materials if someone requests for it? I don't really mind not being able to spawn the boss since I sometimes don't do it if it gets spawned in my current armada. I'm really just looking for some people I can do coop and talk with. Mats? rarely i do get a lot of request though, if it's low level ones i normally give for free but if it's 3* above unless i got spare i don't often give out. 4* normally people don't even request. Well i normally just put up the 4* abyss gold emblem so someone can trade for and get free ship tokens instead .-. Oh okay, well I'll leave my current armada and will need to wait for 24 hrs (from what i remember) then ill send an application to your armada. Interesting do all of them get some sort of 2nd form?
? If you played long enough, most character has up to 4 forms. The 2 newer character Theresa Apocalypse and Yae Sakura is currently different. Yae Sakura start out at Rank A for miko form and her Casual form starts out at rank S.
Theresa The nun and the new fox (sakura flame) form starts at A while her execution form starts as S.
In future Bronya also gain soul awakening (like sakura did) which unlocks 2 more form that is both A and S rank. All S rank other then dimension bronya and casual sakura (you are lucky, she's the strongest) are NON farmable. That is, they don't have any normal ways of obtaining fragments. So you can't get them normally unless you roll them from gara, but that is one thing, they may start out strong but since there isn't anyway to further rank them up normally, they be outdated upon your other characters reaching higher rank unless you spent large money into gara. The rest of the characters can all be slowly farmed out, and further rank up by keep farming for their fragments. Basically upon reach SSS rank even with mediocre equip, you can still rofl stomp through any stages provided you don't do suicidal or stupid things. I cant wait for Alter Bronya, currently saving up gems for when she gets released. I also heard that the new A Rank Bronya is really good for tanking, can summon Rabbit to tank, can be healed by Bronya and she also gives a barrier like Yamabuki but its for elemental damage. Apostle Sakura on the other hand is still good without the 5* Ice Katana and can still deal great ice elem dmg, it's just that if you want to push her dmg to the max get ready to spend money because of Nouhime stigma. Kyuubi Theresa, for an A Rank she's really good since shes pretty much like Apostle Sakura where even without her 5* weapon she can still do great fire elem dmg. Info leaked from ver 1.8 test server. A hell lot of changes to yae village. A new part 4 will be added to Sakura's mainstream quest. Including npc, fishing function, fox turned into deform size girl familiar mascot that assist you when you are doing stuff in there. Changes to exorcism quest rewards and attempts also refine mobs assortment for quest. Karen and Fox challenge are eliminated from yae village and brought out into a standalone new system which features various bosses (like godfather etc) that enable challenge in link raid style with it's own unit scoring/ranking system. 1 new form for Sakura and Theresa each. Both human (creature) type. Sakura is A rank so should be farmable, while theresa is S rank. Sakura uses flame element this time round while Theresa is supportive and branch more towards causing weakness debuff and healing. Weapons includes 11th relic (Cross, with healing passives) etc. New S Rank Theresa, RIP me. So now i got to save up for Alter Bronya and the new S Rank Theresa.